People in Florence will soon have more access to fresh, locally grown food. 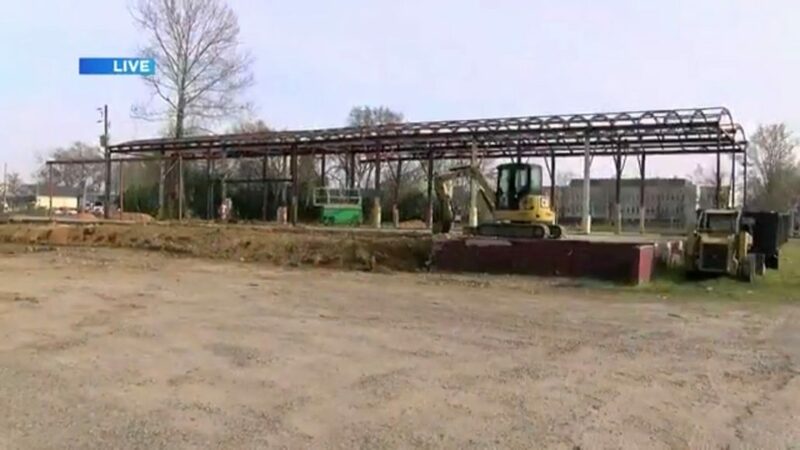 Construction is underway on a $1.3 million City Center Farmers Market and commercial kitchen in downtown Florence. “It’s adding a lot of the farmers market that having some tents in a parking lot simply don’t provide,” Florence City Manager Drew Griffin, said. The building on Sanborn Street will be a larger, permanent home for the farmers market. Griffin said they chose the location because of the lack of access to food deeming the area a food desert. “It’s walkable both from the south as well as north and we hope to promote this idea of healthy food for all,” Griffin said. David White is a vendor at the market and the owner of Maypop Farms in Darlington. He said he started selling at the market in December and is looking forward to the new facility. “I think it’s a good idea. It’ll certainly be a more comfortable spot to do the market,” White said. Griffin said the new building will include a commercial kitchen certified by the state health department, as well as a venue space. He said this will allow more people to sell at the farmers market and bring more food options to the area. “That could be home base for some of these food trucks so we’re really looking to expanding that concept,” Griffin said. White said he also has some potential plans to put the kitchen in use. “We don’t have a source for yogurt and if we can make cottage cheese and yogurt out of our milk that would be great,” White said. Griffin said the new facility promotes local, healthy food and provides more ways to make it and get it. “We’re trying to build a relationship, kind of a food culture that centers around the food market and local residents,” Griffin said. To read the full article and view the video on WMBF News, click here.